If you were to travel to Iraqi Kurdistan (which is safer than many neighborhoods of U.S. cities) you will not only see U.S flags and framed pictures of George W. Bush, you'll actually meet younger generation Kurds named "Bush." It's their way to thank the the United States, its military, and the U.S. President that gave 7 million Kurds their freedom from the iron hand of Sadaam's psychopathic crime family. All signs show that the Kurds are beginning to prosper, live in peace, and -- are you ready?-- are actually considering allowing workers to join labor unions. There are no death squads, no roadside bombs, no beheadings, no eye gouging, or stoning. They have a representative form of government, emancipated women, scientific inquiry, and religious tolerance. True, there are reported incidents of corruption, cronyism, and a handful of extremists in parts of Kurdistan -- things that are alive and well in our 238 year old Republic. Still, good news. Now the bad news for many mainline Protestant denominations: Kurdistan President Massoud Barzani recently discussed strengthening relations with Israel by possibly opening a consulate in Erbil. While many of my Christian friends are hurrying to reconvene their national conventions to condemn Kurdistan and add it to their list of divestments for recognizing Israel, others -- myself included -- will be welcoming Kurdistan to the list of civilized regions of the world. Admittedly this is a -- if not the only -- silver lining in the Iraq invasion of 2003. 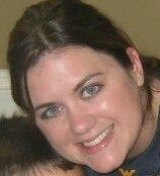 Sarah Sult is a Bluefield, WV homemaker, mother of two boys, and a frontline social service worker.